Ego is the enemy, in business, marketing, sports, art and life. Smart people (and companies) get this. What's the Best Marketing Decision You Can Make? How Do Brands Turn Users into Evangelists? With bestsellers like The Daily Stoic, Ego Is the Enemy, and Perennial Seller, Ryan Holiday is a motivational speaker on everyone’s mind. The New York Times calls him “a sought-after guru to NFL coaches, Olympians, hip-hop stars and Silicon Valley entrepreneurs.” In his latest book, Conspiracy: Peter Thiel, Hulk Hogan, Gawker, and the Anatomy of Intrigue, Holiday widens his lens, investigating power (and its misuse) in America through the takedown of the Gawker media empire. Ryan Holiday is a young, smart, marketing powerhouse-turned-motivational-speaker who has attracted fans from every imaginable discipline. When it comes to motivation, Holiday makes readers—and listeners—take stock of their lives and careers through the timeless lens of an ancient philosophy, stoicism. His book The Daily Stoic distills the ancient wisdom of the stoic philosophers into 366 practical meditations, each meant to enrich and enliven our daily lives—at work, on the field, and in our relationships. In Ego Is the Enemy—an instant Wall Street Journal, USA Today, and international bestseller—he explains how “the battle against ego must be fought on many fronts,” and provides helpful examples of major figures who’ve achieved success by escewing the spotlight and putting the greater good above their own vanity. And in the now cult-classic The Obstacle Is the Way, he shows us how to turn even the most insurmountable obstacles into advantages, inspired by an agelessd set of philosophical principles used by icons from John D. Rockefeller to Amelia Earhart, Richard Wright to Steve Jobs. Forbes calls it “an inspiring read for anyone faced with adversity” that can “save years of future angst.” Publishers Weekly argues that “Holiday’s performance is commanding and optimistic, sure to inspire readers to take new perspective on their apparent obstacles.” It has so far been translated into over 30 languages and has sold over 400,000 copies. In total, his books have sold 1.3 million copies. Holiday is a media columnist for The New York Observer, and his other writings—published in 28 languages—appear in Forbes, The Huffington Post, Fast Company, Thought Catalog, and The Columbia Journalism Review, among others. Holiday’s first book, Trust Me, I’m Lying: Confessions of a Media Manipulator, a tell-all expose of modern online journalism, is a Wall Street Journal bestseller and an Amazon Editor’s Best Book of the Month. The Financial Times called it an “astonishing, disturbing book.” To The Big Picture author Edward J. Epstein, “Ryan Holiday’s brilliant expose of the unreality of the Internet should be required reading for every thinker in America.” His seventh book, Conspiracy​, has been optioned for a film. Even in today’s so-called disposable era, no one sets out to create something that disappears. Instead, whether we’re artists or designers, business leaders or marketers, we want to make something that lasts—that stands the test of time. In this keynote, Ryan Holiday unpacks the idea of the perennial seller: the product or experience that doesn’t necessarily have a huge launch, but continues to sell over many years. To get you thinking about the long-term, he’ll show you what to avoid—namely, too much of a focus on what’s popular right this second—while teaching you the fundamentals of marketing longevity, which include developing a dedicated audience that spreads your work by word of mouth. With reference to a host of success stories from literature, cinema, music, business, pop culture, and beyond, Holiday will explain how traditional companies, start-ups, entrepreneurs, and all creative thinkers can apply the same principles that helped these long-lasting brands stay relevant. Don’t let your work end up as yesterday’s fad. Embrace that special mix of marketing, and making, that will keep you on everyone’s mind. In his books The Obstacle Is the Way and Ego Is the Enemy, Ryan Holiday taught readers about the timeless philosophy of stoicism—and how the ego is the main impediment to living a full, successful life. Since then, Holiday’s take on Stoic composure has helped some of our greatest leaders overcome even greater challenges, and it continues to do so today—his books, ideas, and keynotes are a smash hit with Olympians, Silicon Valley entrepreneurs, pro sports teams, and even celebrities like LL Cool J and Arnold Schwarzenegger. Now, in his latest meditation on this resurgent philosophy, The Daily Stoic, Holiday offers a day-by-day guide to finding a full, purposeful life at work, on the playing field, and at home. And in this stirring talk, he demystifies what stoicism might mean for you and your organization: What is it? What do Stoics believe? Why is such a historical mode of thinking now so relevant? Furthermore, what can the Stoics teach us about problem solving? High-stakes decision making? What about emotion, bias, resilience, and grit? Holiday unearths a wealth of knowledge and inspiration for you team, and makes it all digestible in a talk that’s both practical and transformative. Dropbox, Facebook, AirBnb, Twitter. A new generation of multibillion dollar brands built without spending a dime on “traditional marketing.” No press releases, no PR firms, and no billboards in Times Square. It wasn’t luck that took them from tiny start-ups to millions of users and massive valuations. They have a new strategy, called Growth Hacking. And it works. 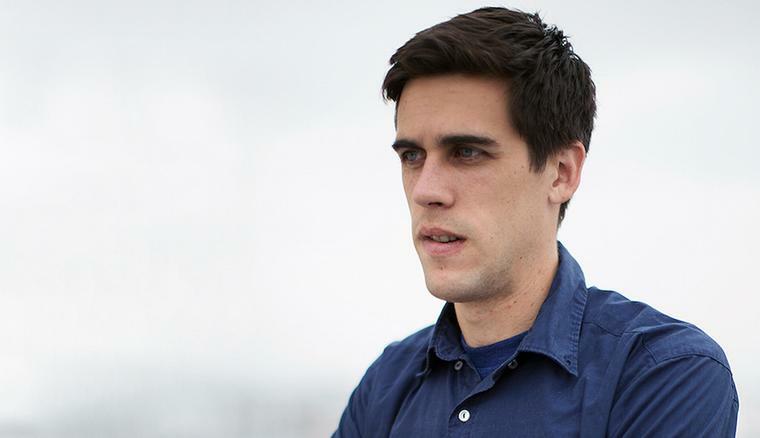 In this talk, Ryan Holiday shows how the marketing game has changed forever. He explains the growth hacker mindset and provides a new set of rules—critical information whether you’re an aspiring marketer, an entrepreneur, or a Fortune 500 executive. Many of us insist that the main impediment to a full, successful life is the outside world. When in fact, Ryan Holiday insists, the most common enemy lies within: our ego. Early in our careers, it impedes learning and the cultivation of talent. With success, it can blind us to our faults and sow future problems. In failure, it magnifies each blow and makes recovery more difficult. And even the most successful companies can be torn apart by destructive egos—the disease of ‘me’. At every stage, ego holds us back. In this keynote, adapted from his book Ego Is the Enemy, Holiday draws on a vast array of stories and examples, from literature to philosophy to history. He invokes fascinating figures such as George Marshall, Jackie Robinson, Katharine Graham, Bill Belichick, and Eleanor Roosevelt, who all reached the highest levels of power and success by conquering their own egos. Their strategies and tactics can be ours as well. You’ve seen it all before. A malicious online rumor costs a company millions. A political sideshow derails the national news cycle and destroys a candidate. Some product or celebrity zooms from total obscurity to viral sensation. What you don’t know is that someone is responsible for all this. Often, that someone is Ryan Holiday. Holiday is a media columnist for The New York Observer and advisor to websites like Complex and Entrepreneur. He’s also a veteran media manipulator. In a world where blogs control and distort the news, his job is to control blogs—as much as any one person can. In today’s culture, blogs like Gawker, Buzzfeed, and The Huffington Post drive the media agenda. Their bloggers are chained to money, technology, and deadlines. And manipulators wield these levers to shape everything you read, see, and watch—online and off. So why is Holiday giving away these secrets? Because he’s tired of a world where blogs take indirect bribes, marketers help write the news, reckless journalists spread lies, and no one is accountable for any of it. He’s pulling back the curtain because he doesn’t want anyone else to get blindsided. In this frank, compelling, and confessional talk, Holiday explains exactly how the media really works. What you choose to do with this information is up to you. We are stuck, stymied, frustrated. But it needn’t be this way. In this talk, Ryan Holiday shares the formula for success that’s been followed by the icons of history—from John D. Rockefeller to Amelia Earhart to Ulysses S. Grant to Steve Jobs—a formula that let them turn obstacles into opportunities. Faced with impossible situations, they found the astounding triumphs we all seek. These men and women were not exceptionally brilliant, lucky, or gifted. Their success came from timeless philosophical principles laid down by a Roman emperor who struggled to articulate a method for excellence in any and all situations. Holiday reveals that formula for the first time—and shows us how we can turn our own adversity into advantage.